The newly released IEEE 1633 Recommended Practices for Software Reliability lays the foundation for practical step by step work instructions for risk assessment, prediction and decision criteria. 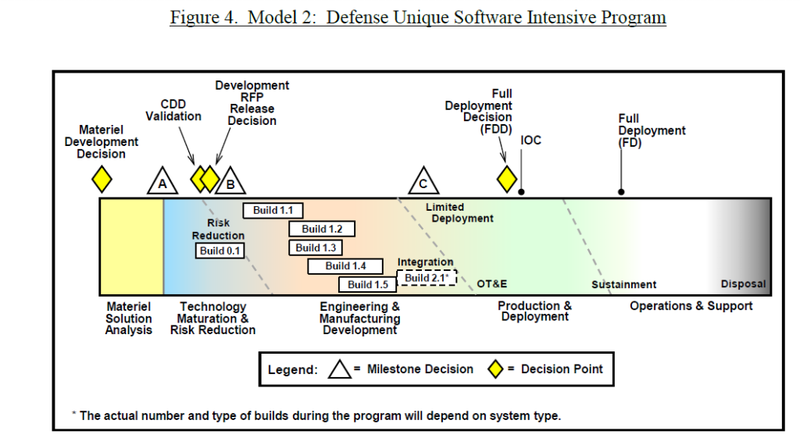 Eleven DoD personnel and twelve DoD contractors worked on the working group that developed this standard. Softrel, LLC has tailored this document to the DoD by cross matrixing it to DoDi 5000.2 “Operation of the Defense Acquisition System” February 2, 2017. In addition, SOW language is provided to assist DoD personnel in acquiring reliable software systems tailored to MDAP and MAIS programs ACAT I and II. A tool to select the most appropriate SRE tasks for MDAP, MAIS, ACAT I and II, provide SOW language and examples of deliverables. The SOW template document is available to all DoD personnel. Expert consulting for Software Reliability specific RFP/SOW language and contract monitoring for SRE abilities. Software failures begin in the software use cases. Costly failure modes can be identified with timely use case reviews so as to minimize the likelihood of faulty software later in the life cycle. For example, if the use cases don't have alternative flows - your software won't be able to handle hardware, interface or user faults. Online training class with RMS Partnership which shows how to tailor the IEEE Recommended Practices for Software Reliability (2016) to the Dodi 5000.2 “Operation of the Defense Acquisition System” February 2, 2017 for MDAP, MAIS, ACAT I and II programs. How to Specify Software Reliability on Government Contracts: Methods for predicting software reliability are well defined as per IEEE 1633 Recommended Practices for Software Reliability 2016 edition. This course addresses how to specify software reliability objectives and tailor software reliability activities for Military programs. The attendee is working for a Military organization. Familiarity with IEEE 1633 Recommended Practices for Software Reliability, 2016 is highly recommended but not required. Course registration procedures are available on the RMS Partnership web site: www.rmspartnership.org.